Office Building Insurance Ohio — Super Low Rates Now Available! We insure Office Buildings, Apartment Buildings, Shopping Malls, Strip Malls, Warehouses, Hotels and Motels, Condo Associations, and much more. Call today. Office Building Insurance Ohio —Insurance is Complicated and It’s a Good Idea to Read Your Policy Carefully! There isn’t a single person no matter how wealthy who wants to knowingly pay more for something — including Office Building Insurance in Ohio. Because of this reasoning we often find that real estate investors base their entire purchasing decision on what the insurance costs them — not the coverage. However there could be a problem — a BIG one when real estate investors take shortcuts by basing their purchasing decision solely on the cost of their commercial insurance. Insurance companies will only pay what they are legally required to pay and nothing more. Keep this in mind. Insurance companies are no different than you — they want to make profits. Don’t conclude they’ll give you a break because of your long tenure or loyalty or because we have in the back of our minds that insurance companies equal nonprofit organizations — that could not be further from the truth. Insurance companies want to make profits and it’s a good idea to keep in mind that they will not pay more than what the policy calls for. When you buy insurance you must comply with the terms and conditions of the insurance policy — legalese that really means you agree to follow the terms and conditions your insurance company outlines in your policy. This is really a fancy and confusing way of saying if you don’t follow our rules we don’t have to pay you, or if we pay you it is going to be lower than what you may want or believe you deserve. Ah — the complexities of insurance, no matter if you believe it is intentionally designed to be confusing or not, insurance terms, conditions, and requirements must be met because the fact remains — insurance policies are legal contracts between you and the company. In essence you as the policyholder agree to pay the premium and you also agree that you will comply or be bound by the terms and conditions of the contract — and the insurance contract spells out what they (the insurer) will do in turn for your premium payments. So it is up to you as the policyholder to be thoroughly familiar with what it is that you’re purchasing — yet here’s the problem. Office Building Insurance Ohio — Here’s One Problem. Most policyholders do not take time to read their policy and hence they are clueless and might feign ignorance when a claim happens that may not be covered — in some cases shouting from the rooftops how the insurance company ripped them off or treated them unfairly when in reality they simply did not read their policy to understand what was covered or not covered or worse — they purchased the wrong coverage amount. This is a mistake real estate investors make as well when purchasing Office Building Insurance in Ohio and throughout the country — quotes are requested and given — the customer buys the policy with the cheapest price throwing said policy in a drawer to collect dust never to be picked up again unless there’s a problem. Because of the complexities of insurance and the fact that most policyholders have no idea what their policies cover we invent or make up coverage claim scenarios to help policyholders come to understand what may or may not be covered by their insurance policies. Here’s our disclaimer — insurance policies and coverage endorsements differ from company to company — do not rely exclusively on what is written on our websites as it may not apply in your case or in a different state where insurance laws differ. Base your knowledge on what is covered or not covered by your actual policy by reading it thoroughly. In a series of articles we are going to examine one such shortcut real estate investors or business owners make either intentionally or by accident when insuring their owned commercial buildings by means of a fictitious claims scenario involving Dan the Man, a real estate investor. Make sure to follow our articles to self-educate yourself about insurance. It could be the best decision you have ever made, especially before a claim occurs! 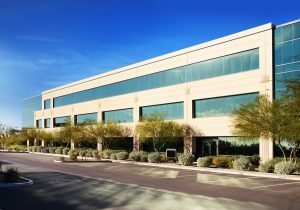 When you need Office Building Insurance in Ohio, Indiana, Kentucky, Illinois, Michigan, Wisconsin, Minnesota, Missouri, Colorado, Arizona, Alaska, New Mexico, Texas, Mississippi, Alabama, Georgia, Florida, Virginia, West Virginia and the state of Maryland we can help you find what you need –call us right now!